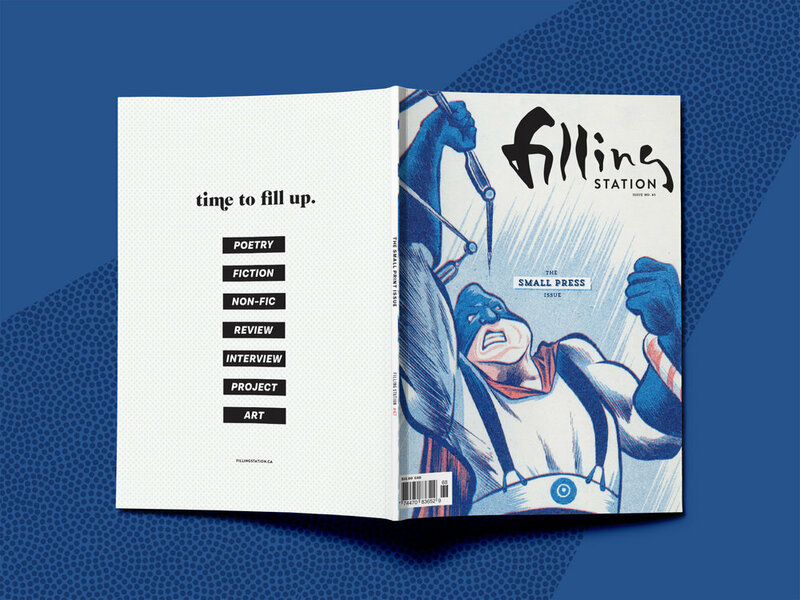 Filling Station Magazine is a literary publication based in Calgary, Alberta. The 2018 brand refresh focused on creating a sophisticated canvas to highlight the award winning national and international poets and authors featured on its pages. 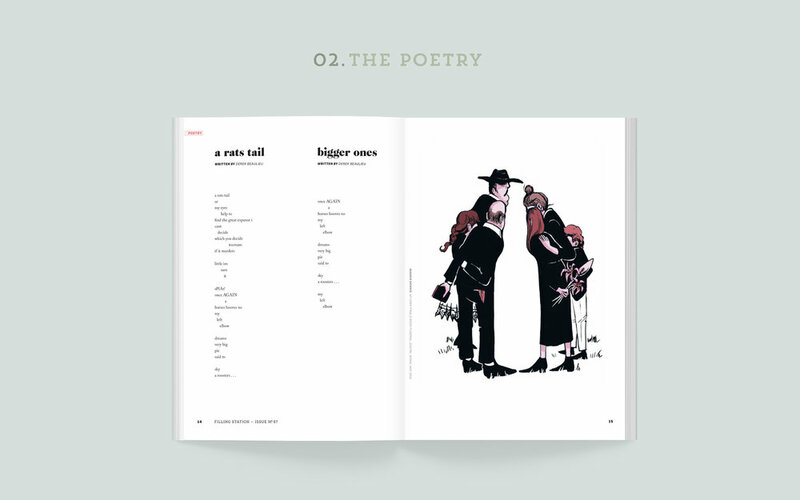 The publication required a flexible design for visual poetry's unique spacing while still supplying a seamless reading experience for interviews, fiction and essays.